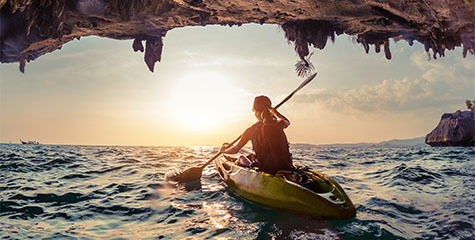 Paris is one of the most romantic cities – it’s famous for its high number of monuments, climatic squares and streets, characteristic fashion houses and charming cafes. 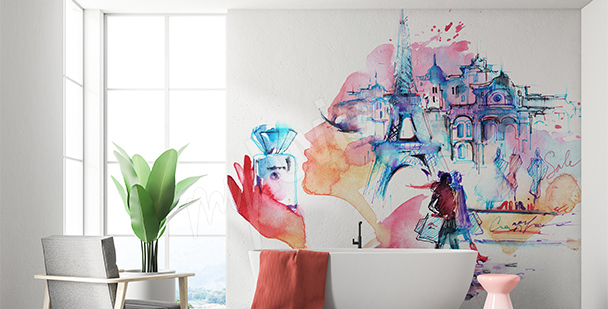 With use of a Paris mural, you will be able to bring some of the Parisian streets’ magic and the most picturesque places into your apartment in a blink of an eye. Wall decorations will emphasize the elegant style and beauty of Paris accents in your interior. 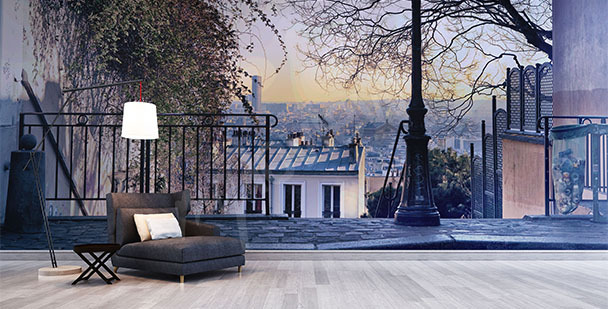 Paris wallpaper will create a unique atmosphere and will allow you to enjoy the beauty of your beloved city 24 hours a day. 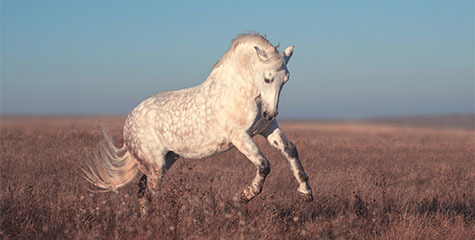 In our collection, you will find picturesque, romantic landscapes and black and white images. Thanks to that you will surely be able to find a mural Paris that will enchant you and that will emphasize the style of the interior you’re decorating. Paris in a unique version: a wall mural with a map of the city will be an intriguing decoration of a child’s room or a teenager’s room. 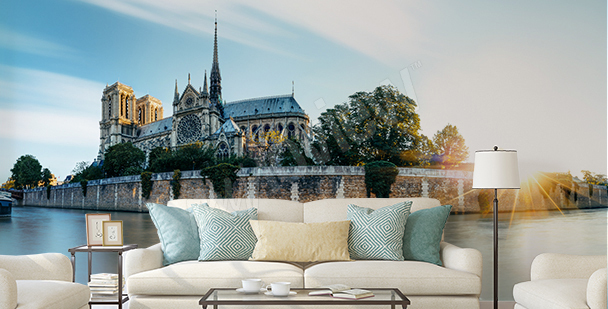 A wall mural with symbols of Paris will look great in eclectic interiors. Interesting motifs will emphasize your room’s decor. Paris is not just about old architecture. It is also a modern city full of life. 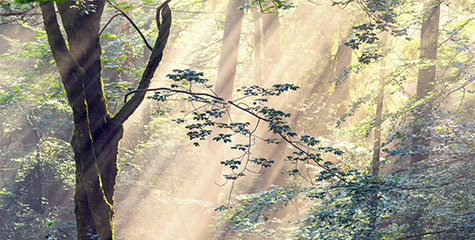 Wall mural with its image will add energy to your decor. 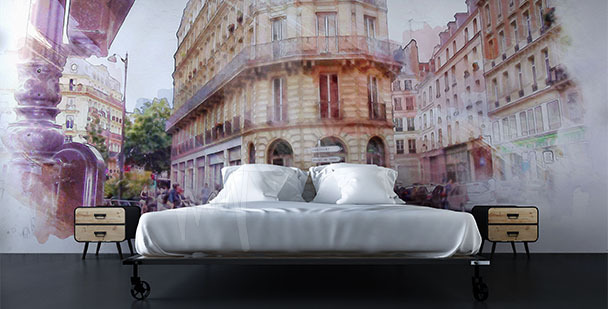 A 3d image of Parisian cityscape will be an original detail of your interior. It’s worth placing it in a classic living room. 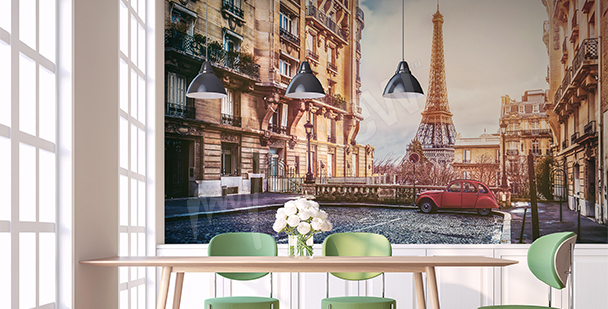 A fascinating and colorful wall mural with an image of Paris will look great in a child’s room or teenager’s room. It’s impossible to speak about Paris without mentioning the Eiffel Tower - the most characteristic symbol of this city! 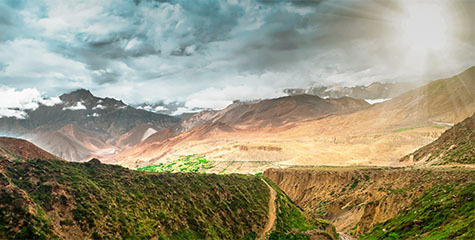 Classic landscapes on walls can be replaced by wall murals with writings. Such decoration will look great in a restaurant or a cafe. A spacious living room can be decorated in a unique way, for example by placing a mural with Parisian architecture on one of the walls. A bedroom in French style is a quintessence of elegance and good taste. A wall mural with Paris will make it look more modern. Thanks to a wall mural with Paris you will feel the atmosphere of this unique city every single day! Paris is enchanting – it is believed to be one of the most beautiful of European capital cities. Named by many „the city of love” and „the city of light”, Paris successfully keep inspiring interior decorators. The characteristic squares, monumental town houses, cafes that serve famous French treats and boutiques that are the quintessence of style of French women – Paris brings to mind plenty of associations. 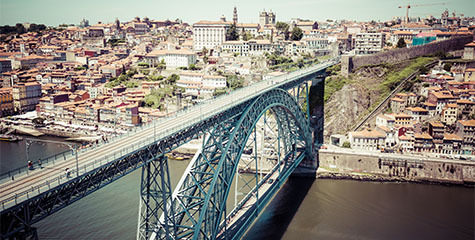 No wonder that for many years it’s been one of the most visited cities in the world – its specific charm seems to attract all of the art connoisseurs, culture lovers, fashion enthusiasts and fans of tasting life in thousands of different ways. 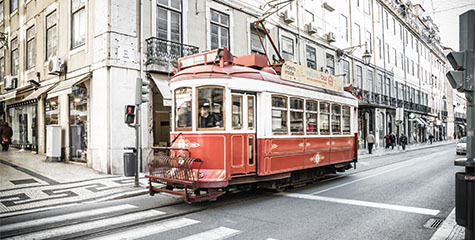 The city is famous for its incredible history and wonderful architecture – here can visit the Arc de Triomphe, Palace of Versailles and the Louvre. Which one of us wouldn’t associate Paris with the Eiffel Tower, Notre-Dame Cathedral and the magical Champs-Élysées? 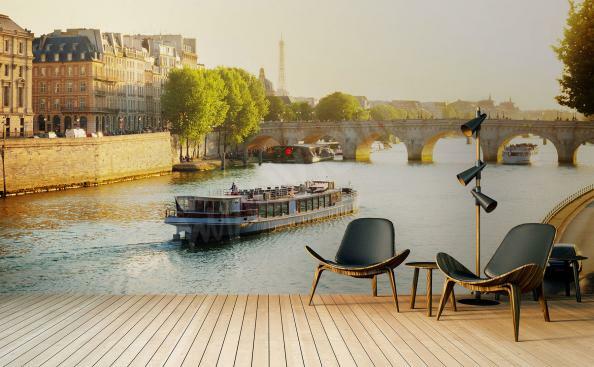 Thanks to a Paris mural you will be able to move some of this European capital city’s charm to your own interior. 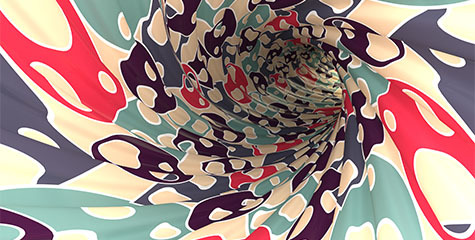 This kind of motif will look great in elegant, glamour and retro interiors. Paris wallpaper will be a great complement of elegant interiors – it will emphasize the style and create an inspiring atmosphere within your space. A wall decoration will highlight the beauty of molding forms, artful details and classic elements of a décor. 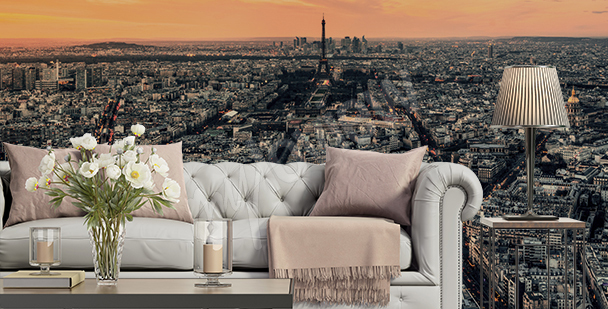 Paris mural can be used as a background for a stylish sofa, tasteful armchairs and a traditional bed. Thanks to this type of wall decoration, you will make your interior look très chic – Parisian landscape will energies and refresh your space. Eiffel Tower mural will make the room look more distinguished. An atmospheric image with this symbol of Paris will look beautiful combined with white furniture and sophisticated accessories – a standing lamp with a tasteful shade, ceramic candleholders and vases filled with flowers. A cityscape with charming architecture may be used within an interior decorated with bricks, sandstone and wood. 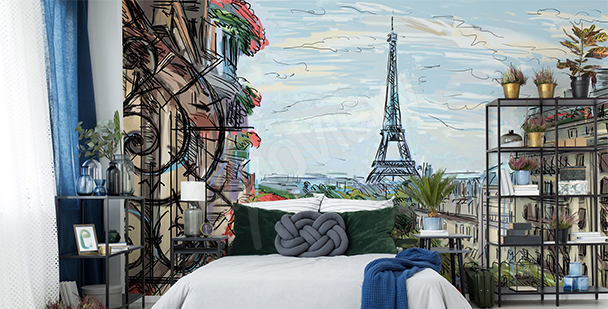 With help of an Eiffel Tower mural you will give your space an expressive character and some of that Parisian charm. 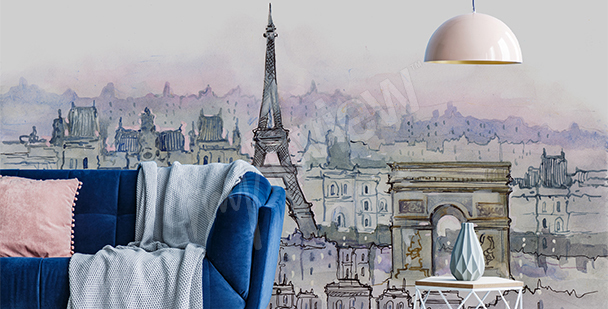 Paris mural can be used in spaces inspired by the French style of interior design. A magical cityscape will be a perfect complement of an interior dominated by artful details related to the Belle Époque. 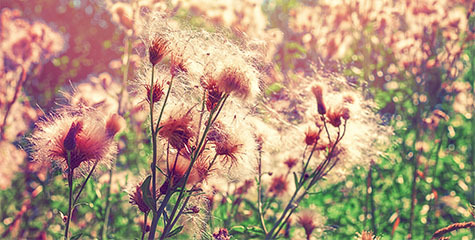 Such wall decoration will become a beautiful background for the colors used in the arrangement – white, gray and crème. Paris wallpaper will look perfect together with designs that remind us of aristocrat interiors. Parisian style is characterized by attention to every, even the smallest of details, and contrasting color solutions. Thanks to that, an image of Paris can be used together with a chessboard floor and chic sofa on profiled legs. Paris mural will look great in an interior based on molding details, carved accents, for example on antique mirrors, and flowers. For decoration of an interior inspired by France, you may use a cityscape in a striking, painting-like version – mural with Paris will emphasize the style and will create a unique atmosphere within your interior. Paris motif is incredibly universal – wall decorations with images of this romantic city will look great not only in elegant and classic arrangements, but also in modernist interiors. A modern living room can be decorated with a classic panorama or a charming graphic design with the most prolific symbols of this metropolis. 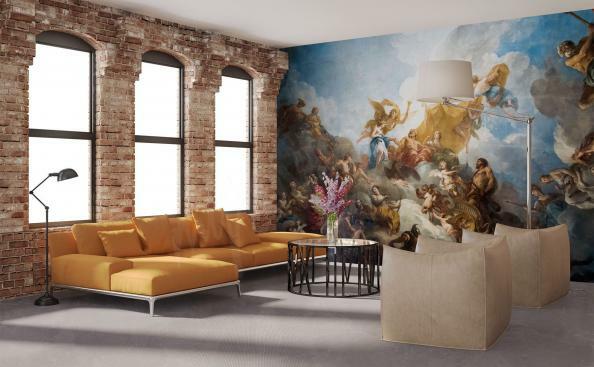 Paris murals will fit nicely with a glass table and leather corner sofa – it will also look good in a walk-in closet and in a kitchen with décor based on symmetrical forms and bright colors. A graphic with the Eiffel Tower can be used as a complement of geometrically profiled furniture and accessories in minimalist style. Paris wallpaper will warm up and energize toned-down interiors dominated by simple forms. Eiffel Tower mural will look beautiful in romantic interiors. Such image - together with porcelain, candles and flowy textiles - will create a unique atmosphere within your interior. Paris mural will become a perfect background for a bed in a climatic, feminine bedroom – it will also be a great complement to an antique sofa. Delicate pastel landscapes will work great in a living room dominated by wickerwork details, openwork accents and flowery, romantic designs. 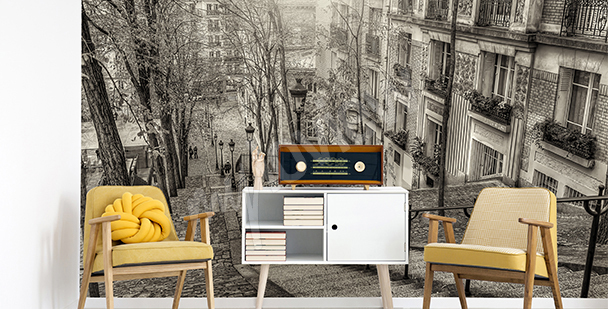 Mural with Paris can be used in apartments arranged in the style of the passed ages – a photography will emphasize the charm of antique items and retro accessories. In our collection, you will find atmospheric black and white images and romantic landscapes with depictions of a night-time scenery. Paris night wallpaper will bring some nostalgia and magic into your interior – with help of a wall decoration, the charm of Parisian promenade and glimmering lanterns can be kept in your space for a very long time. 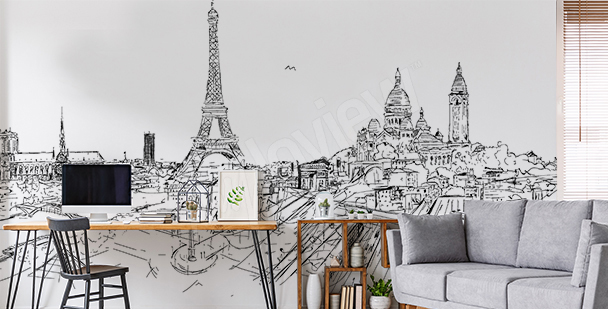 If you’re looking for a way to make your living room look more romantic, a perfect solution would be use of a mural Paris. The internet is where you can find plenty of inspirations that will help you choose the perfect accessories for the space you wish to improve.